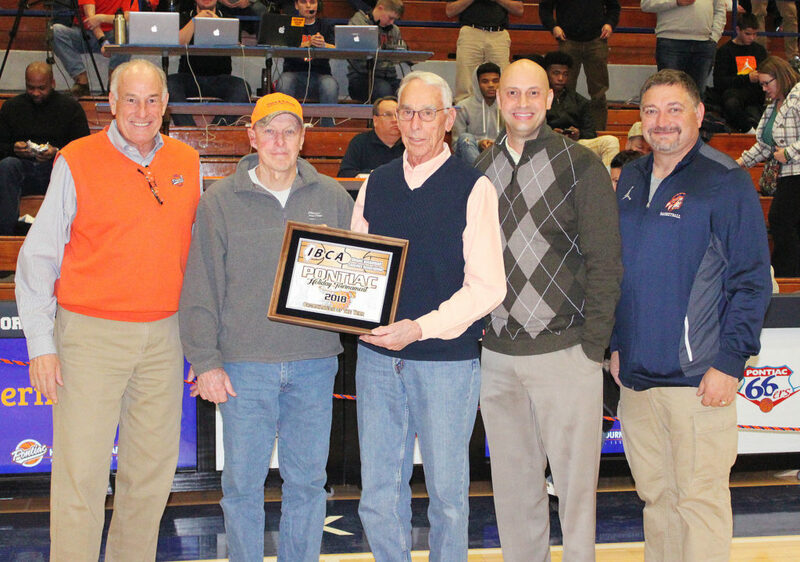 The Pontiac Holiday Tournament was recently honored with an Illinois Basketball Coaches Association Award. The IBCA has, for many years, honored individuals for their efforts in promoting Illinois basketball. For the first time, the IBCA honored entire organizations that they feel have gone above and beyond in contributing to their students, schools, and communities. This year the Pontiac Holiday Tournament was selected as one of three IBCA “Organization of the Year” recipients. The IBCA presented a plaque to tournament officials at halftime of the Pontiac/Simeon game the first night of this year’s tournament. This honor is for YOU the fans, our community, volunteers, and tournament staff for your loyalty, generous hospitality, and support to make our tournament one of the great basketball organizations in Illinois.